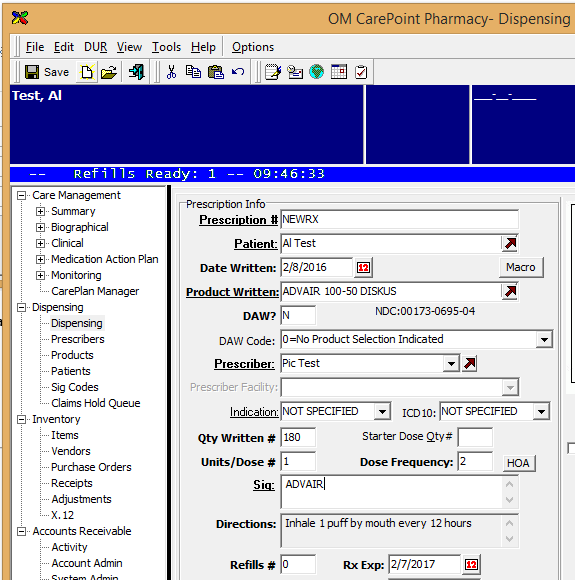 Custom SIG codes can be added to the system using the tree at the left hand side of the retail dispensing screen. Click on Sig Codes and you will be taken to the table that stores these codes. You can add a new code by clicking on the New button in the lower right hand corner. 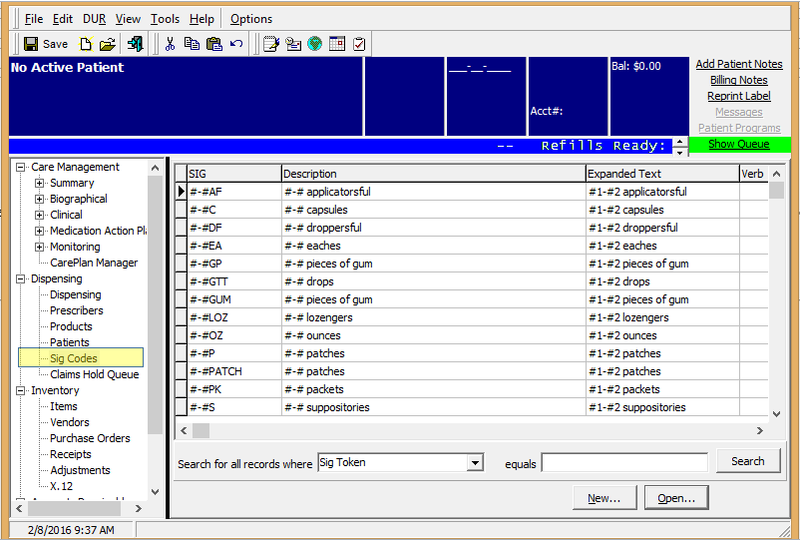 This will bring up another window to add a custom SIG code into the table. Once you have completed all the necessary fields, click on Save and Close. You can use this field to add simple codes for words or you can add codes for specific products like in the example below. 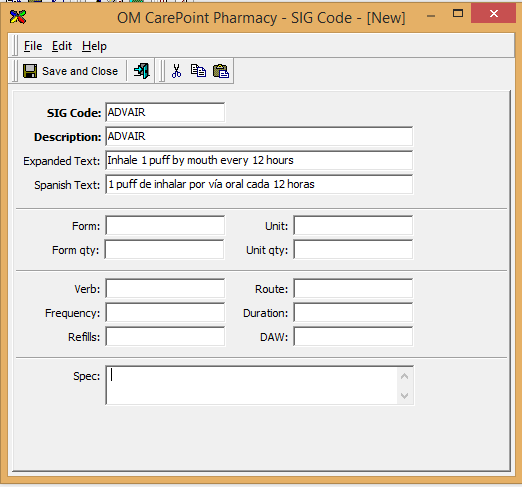 In the example above, anytime you add the SIG code Advair to the Rx SIG code field, the directions of “Inhale 1 puff by mouth every 12 hours” will populate automatically. Also, if you added a field in for Spanish Text box and the patient is listed for a language of Spanish, the SIG code will automatically type in the Spanish directions for you.